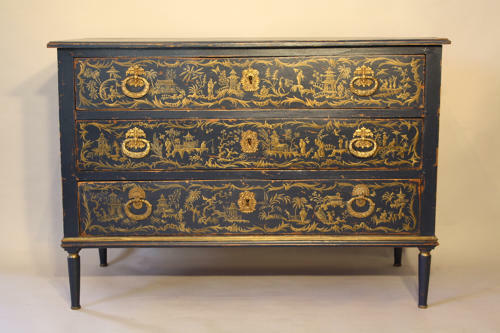 Stunning dark navy blue chest of drawers, decorated with Chinoierie. C19th French and possibly later painted. An elegant and beautiful statement piece.